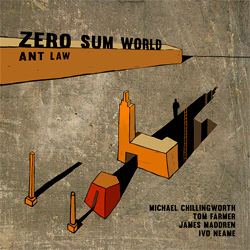 ANT LAW: "Mishra Jathi", de Zero Sum World, Whirlwind Recordings, 2015. 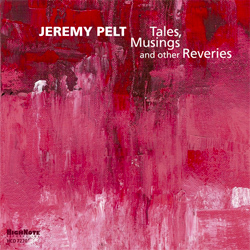 JEREMY PELT: "The Old Soul Of Modern Day Wayfarer", de Tales, Musings And Other Reveries, High Note Records, 2015. 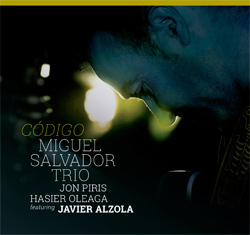 MIGUEL SALVADOR TRIO: "Una Hora Con Margot", de Código, Errabal Jazz, 2015. YAGO VÁZQUEZ / SCOTT LEE / JEFF HIRSHFIELD: "F World", de Stream, Fresh Sound New Talent, 2015. FELIPE VILLAR: "Rhythm A Min", de Outro, Free Code Jazz Records, 2015. 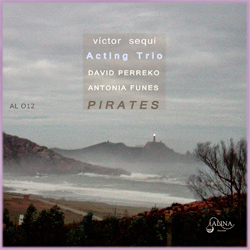 VICTOR SEQUÍ ACTING TRIO: "Two", de Pirates, Alina Records, 2015. RICHARD BONNET: "Blues Connotation", de Skies: A Guitar Tribute For Ornette Coleman, Alina Records, 2015. OH TRIO: "Miña Nai", de Cancionero Gallego, Producciones Efímeras, 2014. 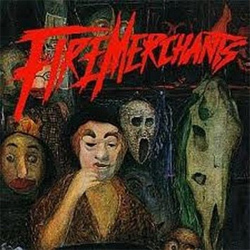 FIRE MERCHANTS: "Thing 15", de Landlords Of Atlantis, Gonzo Multimedia, 1996 / 2015. SCOTT HENDERSON: "Dew Wut? ", de Vibe Station, Scott Henderson, 2015. TOMÁS MERLO FREEPUNK ENSEMBLE: "El Replicante", de Vendetta, Youkali Music, 2013. YUL BALLESTEROS: "Nexus", de Nine Tales From The Inner Space, Yul Ballesteros, 2015. MIKEL ANDUEZA: "Ponle Letra", de Cada 5 Segundos, Errabal Jazz, 2015. 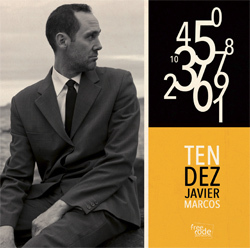 JAVIER MARCOS: "Embraceable You", de Ten / Dez, Free Code Jazz Records, 2015. DENNIS MATEIS & RICARDO MARICHAL: "Tao", de Sinavisar, Alina Records, 2015. 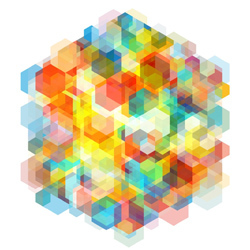 TESSERACT: "Phoenix", de Polaris, Kscope Records, 2015. 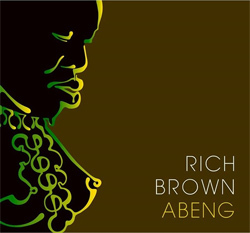 RICH BROWN: "The Etymology Of Ouch", de Abeng, Rich Brown, 2015. CONTINUO: "The Secret Decoder Ring", de Inverted Maps, Continuo, 2015. TELMO FERNÁNDEZ ORGAN TRIO FEAT. PHIL WILKINSON: "Laura", de The Soul Jazz Beat Vol.1", Free Code Jazz Records, 2015. 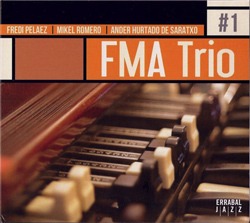 FMA TRIO: "Motivos Primarios", de #1, Errabal Jazz, 2015. ROBERTO SOMOZA: "Continuum (Fragmento)", de Continuum, Roberto Somoza, 2013. RICHARD FAIRHURST & JOHN TAYLOR: "Re: Person I Knew", de Duets, Basho Records, 2015. 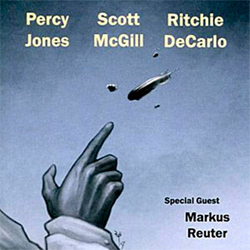 PERCY JONES / SCOTT MCGILL / RITCHIE DECARLO: "F-Hole's Worth", de Percy Jones / Scott McGill / Ritchie DeCarlo, Special Guest Markus Reuter, Uniblab Recordings, 2010. THE SIRKIS/BIALAS INTERNATIONAL QUARTET: "Mandragora", de Come To Me, Sirkis/Bialas, 2014. ANT LAW: "Leafcutter", de Zero Sum World, Whirlwind Recordings, 2015. HUGO FERNÁNDEZ: "Metro", de Cosmogram, Origin Records, 2015. ARANJAZZA: "Sa Nuvia D'Algendar", de Carabassejant, Quadrant Records, 2015. RAFA FERNÁNDEZ QUINTETO: "Tanoninos", de Rafa Fernández Quinteto, Free Code Jazz Records, 2013. NOËL AKCHOTÉ: "Mrs. Jayne", de Skies: A Guitar Tribute For Ornette Coleman, Alina Records, 2015. 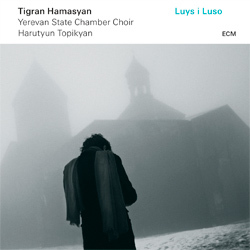 TIGRAN HAMASYAN: "Havoun Havoun", de Luys I Luso, ECM, 2015.